For about the past year, Sunshine has been asking me for ways she can earn money. At ten years old, she loves having her own spending money and easily uses up her birthday chques. The Kingdom Code program has been a great way for her to learn money and life skills while starting her own business. If you’re also looking for a way to help kids learn to manage money, read on to find out more about this Christian kids’ economics course. Sunshine was super excited to help me review The Kingdom Code materials. She could barely wait for me to assemble the required binders before she started reading. We received the Complete Starter Kit for this review, which included the textbook, teacher guide, student packet, receipt books, posters, and flash cards. I put the teacher guide and student packet each in a binder, added tabs for easy reference, and cut apart the flash cards. Then Sunshine dove into the program! 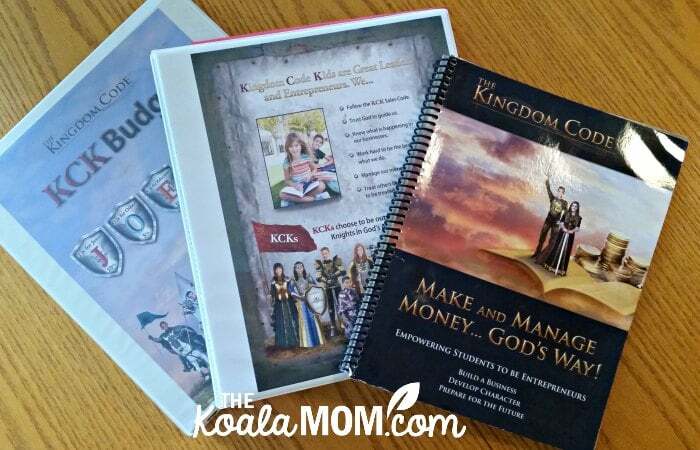 How does The Kingdom Code help kids learn to manage money? The Kingdom Code teaches kids about money with a unique, hands-on approach. Instead of just talking about building a business and earning money, The Kingdom Code encourages kids to do just that. And with the core Christian values of the curriculum, students are encouraged not to build a business just for the sake of making money but to serve others. The student textbook provides kids with plenty of service job ideas, from washing cars to running errands or watering plants. Sunshine decided she’d like to start a job as a mother’s helper. She’s been a huge help to me since Joey’s birth, taking care of either him or Pearl when I can’t be two places at once. She’s not old enough to babysit yet, but she can help a mom with one or two children while that mom is still home. That way, the mom can get a break or do some other housework without having to hold a baby at the same time. The Kingdom Code makes learning fun with plenty of pictures, stories, and activities. Building a business is compared to going on a quest, with plenty of fun “kingdom” references and pictures. Students are encouraged to start with a Proclamation, put on the Armour of God, develop a Code of Armour, and become a Treasure Builder. In The Kingdom Code program, kids learn about economic concepts such as supply and demand, free enterprise, sole proprietorship and more. They read stories about other successful, service-oriented entrepreneurs, like John Deere, who invented a polished-steel plough to make life easier for farmers. Students apply what they’re learning to make their own business plan, marketing materials, and more. While learning about business and money skills, Kingdom Code Kids are also encouraged to develop their own faith and virtues. When they earn money, they are supposed to tithe 10%. The Proclamation for Lesson 10 is the Golden Rule—”I will treat others like I want to be treated.” They are encouraged to read their Bibles, serve others, and read their Bibles. Biblical life and money principals are woven seamlessly with lessons on economics and business-building. Sunshine liked the program because it gave her a chance to start a business and invest her money. She says the program made starting a business easy because it provided her with all the resources she needed, including a business log. 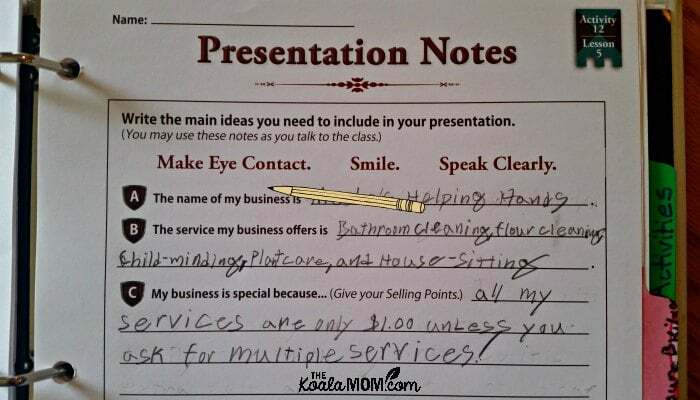 She enjoyed the examples of other kids who’d started successful businesses. While Sunshine has been eager to learn how to make money, I’ve wondered how to teach her about managing her money. Spending money isn’t a problem, either for kids or most adults. (My husband and I are certainly good at it!) 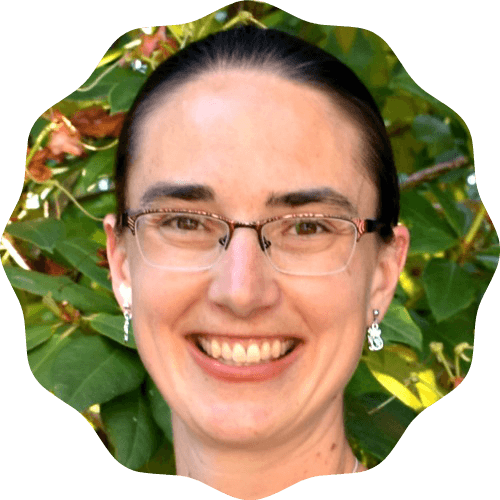 I’ve wondered how and when to talk to my kids about tithing, saving, and staying out of debt. The Kingdom Code has answered that question by wrapping it all up into one program. We teach our kids many things, and we start early. As soon as they show interest, we teach them to walk. Our kids start their first babbles, and we encourage them to form the words “DaDa,” or “MaMa.” We buy them books to inspire counting and learning the alphabet. But at what point do we stop our kids from continually asking us for money, while we dole out cash right and left? We need to empower our children with the skills to manage their own money while they are young. Then, we are no longer enablers, but educators who teach kids about money – giving our children valuable “money smart” tools that will benefit them forever! I remember the lessons my parents taught me about managing money. Mom always went through the grocery store flyers, looking for sales on the items we needed. Dad paid us an allowance for our work on the hobby farm. They tithed to our local church and also encouraged us to support other local charities. My first jobs were service jobs for neighbours—cleaning house and babysitting. And I remember the day my parents paid off the mortgage on their house. 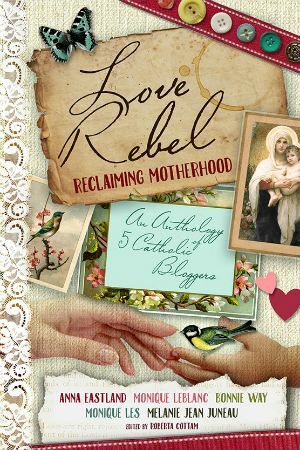 While my husband and I were blessed to start our marriage debt-free, many of our friends weren’t. They shared honestly about their struggles to overcome credit card debt so they could save for a down payment for their home. I want to make sure that Sunshine and her siblings know how to use their money wisely, so they can avoid pitfalls around debt and overspending when they’re adults. This is a life skill they need to know long before they leave home—even before they start their first job and acquire a habit of spending the money they’ve earned! The Kingdom Code has given me a fun and engaging way to talk to Sunshine about money concepts. We’ve tossed around ideas about jobs she can do, and which jobs she might be good at doing. We talk about how she can use the money she does have. For example, she’s mentioned wanting to buy an iPod, which means she’ll have to save her money. She’s opened a bank account for her savings, making that money less likely to be spent. The Kingdom Code is intended for students in Grades 4 – 8. Sunshine completed Grade 4 this year as she did the course. I think the course would work a bit better for a slightly older student, as I felt that many of the business ideas wouldn’t work for her either because of her age / size. She’s too small to walk a dog or wash windows and not old enough to babysit or go to a store for someone. While there is a teacher’s guide for The Kingdom Code, Sunshine has mostly worked through the materials on her own. I read through the first few lessons in the Teacher’s Guide and found them a bit frustrating as a homeschool mom. The teacher’s guide is geared towards someone who is teaching a group of students in a very organized setting. If you’re running a club at your church or using the materials for a homeschool co-op, then the teacher’s guide would be a great resource. For one student completing the materials at home, then the teacher guide probably isn’t needed. 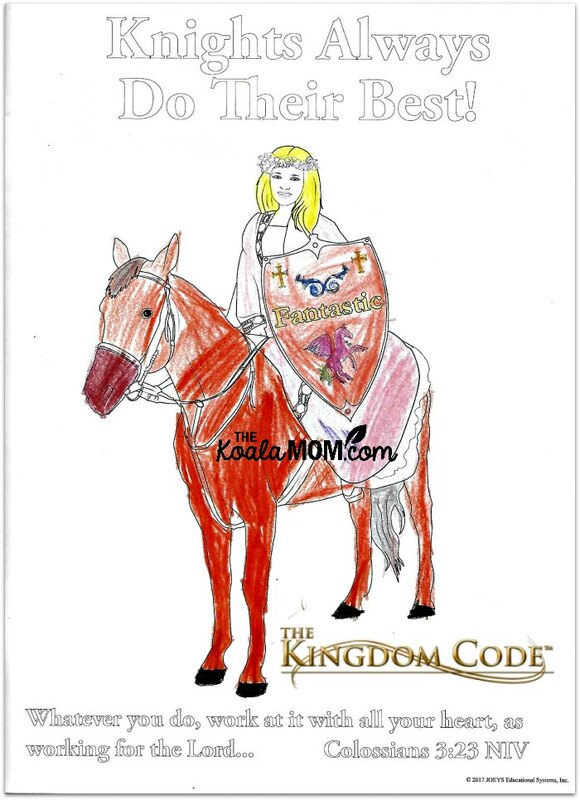 For younger children, The Kingdom Code has a fun colouring book. It features many of the KCK core principles, with fun pictures to go along with each lesson or Bible verse. Children also begin to learn about the KCK budget by colouring badges for each letter of the acronym JOEYS. If your child isn’t yet ready for the entire program, the colouring book is a great way to introduce the concepts. If you have an older child doing the full program, then a younger child could feel included by having the colouring book to complete. You could also use the colouring book with kids who are in the program and need some extra activities—maybe as a spare-time filler during a co-op or club day. The drawings are detailed enough to be fun to colour for older kids, while also being a great way to review the concepts. 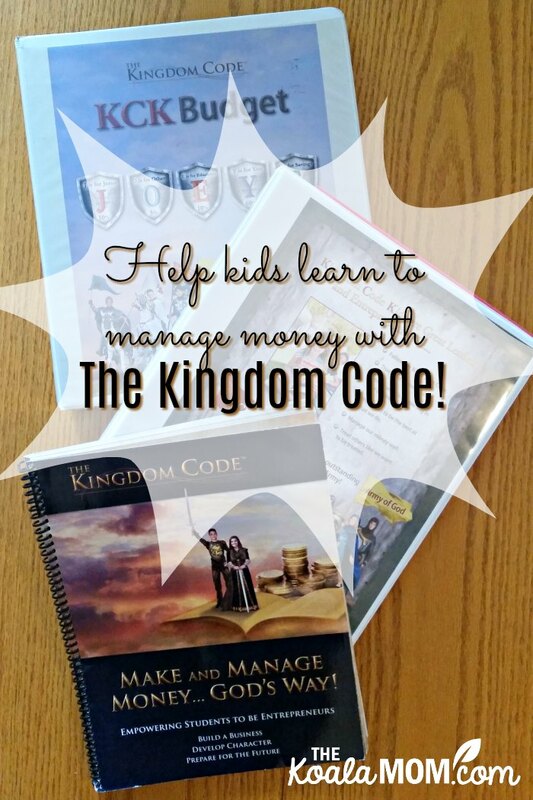 Do you want to help kids learn to manage money with The Kingdom Code? Then use code GK15CSK to get 15% off the Complete Starter Kit! This coupon code is valid until August 31, 2018. You can sign up for The Kingdom Code email list to receive some free samples of the program. Follow The Kingdom Code on Facebook, Twitter, Instagram and YouTube for more ideas and inspiration. What tips would you share to help kids learn to manage money? Would your children enjoy doing The Kingdom Code?